Vandal is trusted by many of the world's biggest drinks companies to provide insights and innovation support. Fresh, flexible and informed. We pride ourselves on offering our clients and subscribers inspiring and illuminating research. Quench is a forthcoming digital research tool for the soft drinks industry. Launching soon! Vandal offers its clients a range of consultancy services to fit the individual needs of the companies we work with. 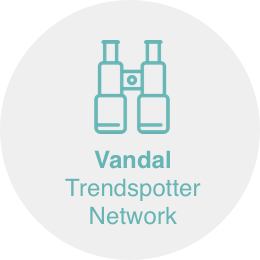 Vandal is a food and beverage-focused trend consultancy based in the US and UK that offers qualitative research and leading-edge insights for industry professionals.